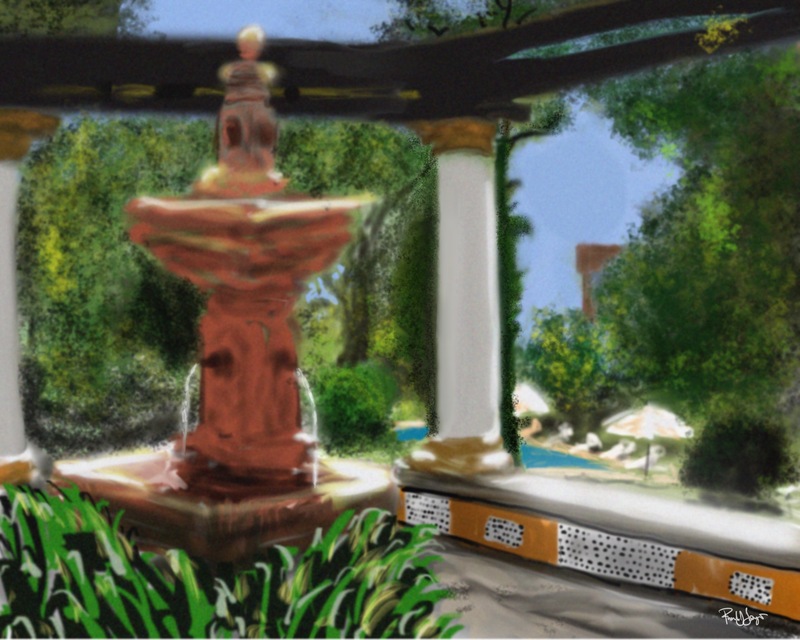 In the Spring of 2016 Annyth and I spent a week with a group of 17 people at a villa (Can Pares) on the outskirts of Sitges in the Penedès wine and cava region in Catalonia, celebrating the 60th birthday of a friend. 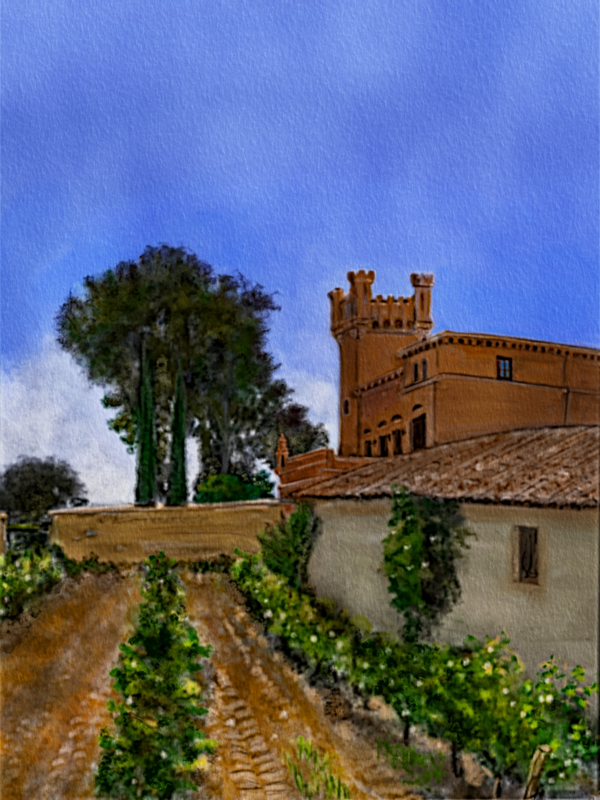 Located next door was a winery in a former castle, Torre del Veguer, which I featured in another post on this illustroblog. 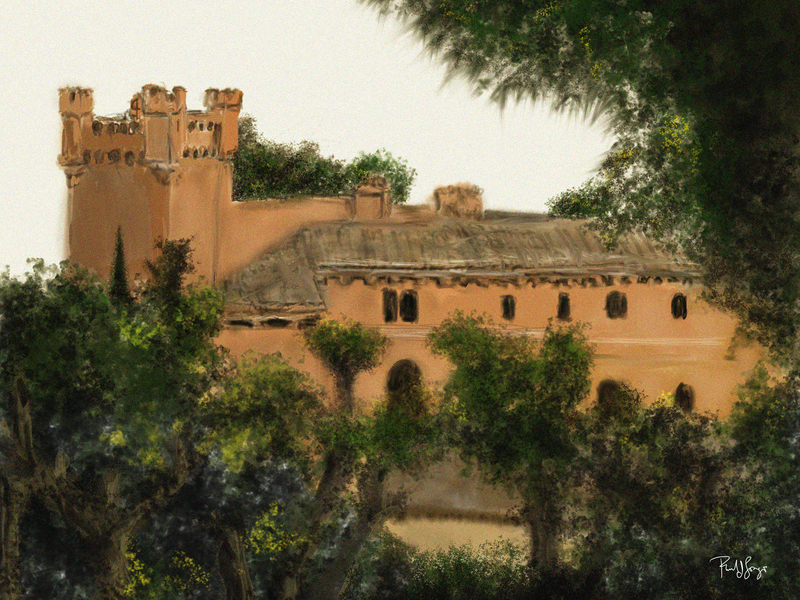 Here’s a digital painting of Torre del Veguer, which I had printed on canvas as a gift of gratitude for our friend, Marjorie, the birthday girl.